Vivaldi K (Indoctro x Nimmerdor) and Mubarak Yousuf AS Al Rumaihi became 9th in the Worldcup of Al Rayyan in Qatar. 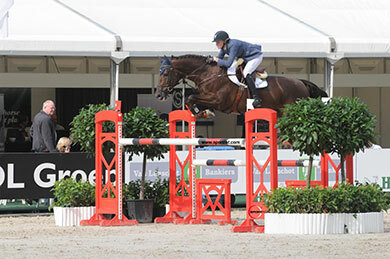 They became also 4th and 5th in two 1.45m classes. Beyonce (Corland x Indoctro), ridden by Rashid Al Marri, became 8th and 10th in two 1.45m classes and Denver (Cantos x Elcaro), ridden by Rakan Al Hasawi became 10th twice in 1.35m classes.